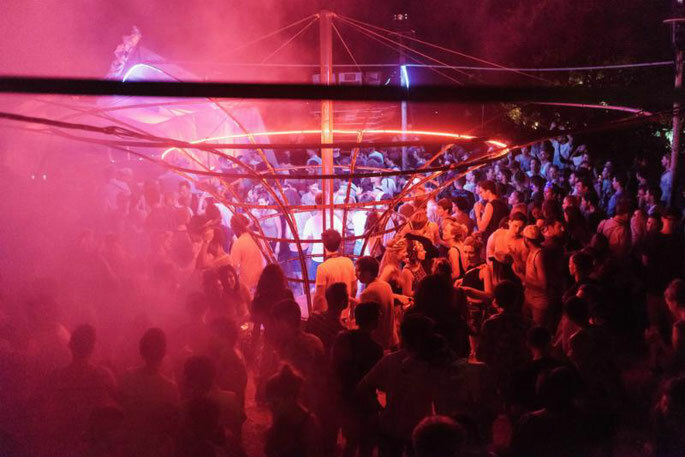 Set in a private domaine in the French countryside 1h30 drive from Toulouse airport, Monticule Festival has in its four years of existence possibly become an event to bookmark in the French summer festival calendar. Set across four stages that range from a pool stage to a barn, a main stage in the forest and an ambient dome, it aims to bring over some of the key names from the wider electronic community for five days of partying, from 19-23 June 2019. Hailing from Munich, the Zenker Brothers will make their return to the Domaine de Gayfié as will Malka Tuti label bosses Asaf Samuel & Katzele. Fans of chugging, psychedelic techno will be served with first time appearances by Berliners Sascha Funke, Fantastic Twins and Curses as well as Lithuanian Manfredas. French artists Low Jack, Simo Cell and Oko DJ will be flying the flag for all forms of bass and dusty curios. German talent is particularly well represented with the likes of Dima Oboukhov, Fog Puma, RSS Disco or San Quentin making the trip, with more headliners and up-and-comers to be announced in due course. Plenty of extra-curricular activities are on offer over the course of the five days of Monticule. 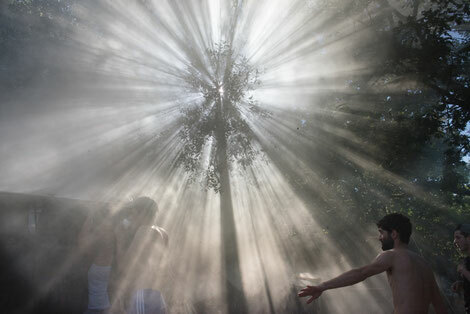 From festival classics such as yoga, painting workshops and a skateboard mini ramp, to horse riding in the area’s adjacent forests, astronomy lessons and a clear-watered waterfall and swimming hole accessible by a short walk from the festival or with the help of a trusty donkey shuttle. Check Monticulefestival.com for more info.